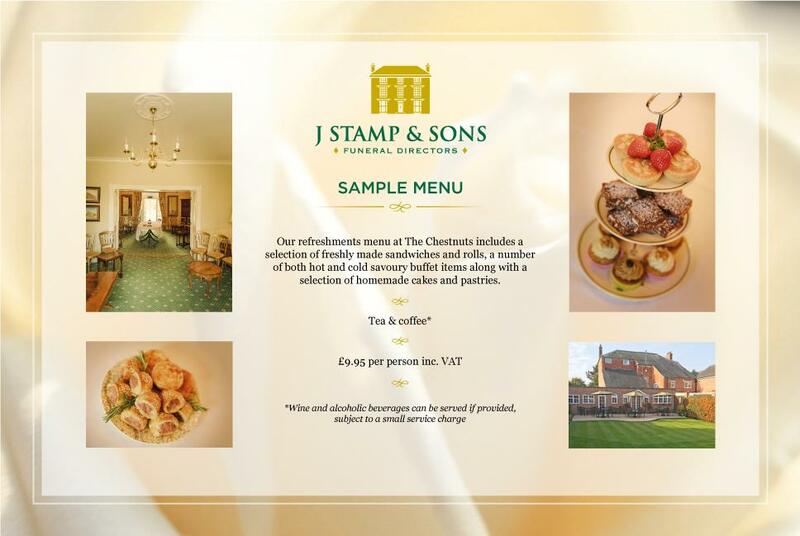 At J Stamp & Sons we provide funeral catering & refreshments in the main reception rooms of our Georgian house, with its own private walled garden and outdoor seating area. 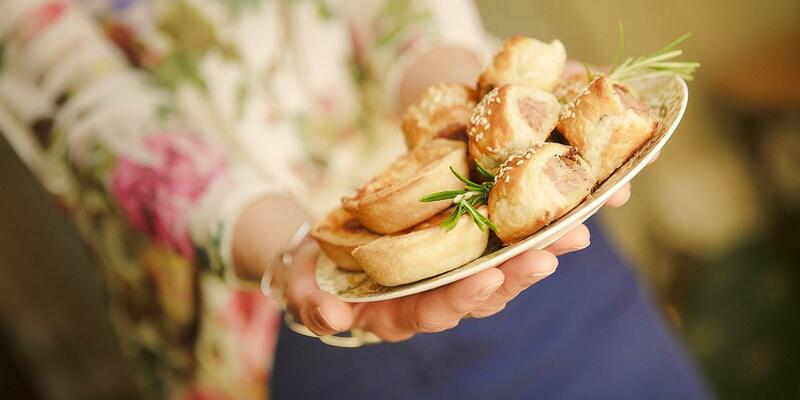 We cater for up to 50 mourners and provide a traditional menu priding ourselves on our homemade fayre. Mourners have been returning to The Chestnuts of over three generations to enjoy our food and homely hospitality. We are also able to provide outside funeral catering in your own home, village hall or other locations. Please contact us on 01858 462524 for more details.